Whether you're looking for indoor or outdoor fun, there is always something to do no matter where on Long Island you're located. From pristine beaches and beautiful parks, to bowling alleys and miniature golf, Long Island is packed with Things to Do no matter what your passion is. 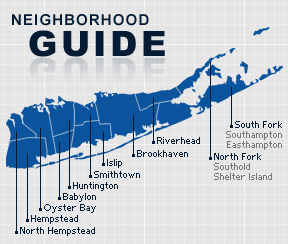 Our Things to Do guide will help you to find the perfect Thing to Do from Nassau to the North Fork. Escape the Room at Puzzle Break! One of the Best Escape Room Experiences in the US Now Exists Right Here On Long Island! Feel the Adrenaline During a Thrilling Race at the Ultimate Indoor Karting Destination! Whether you're looking for the most exciting entertainment destination for an evening of fun, the ultimate birthday party, or a one-of-a-kind corporate event, RPM Raceway's heart-stopping racing action has no parallels! Extreme Fun Right Here on LI! With 11 unique paintball fields, Cousin's Paintball of Calverton is ready to provide you with a day of heart-pounding, action-packed fun! Whether you're headed out for an evening of fine dining with that special someone, or you're looking to grab a quick bite to eat, we've got you covered with the scoop on all of LI's best eateries from A to Z! From the hottest dance clubs to the best sports bars & pubs, we've got it all! Find the perfect place to enjoy the evening whether you're headed out for a night on the town with friends or spend a laid back evening enjoying a few brews. Sign up for a free weekly newsletter covering things to do, hottest local headlines, and everything Long Island! Read more here or enter your email to signup.